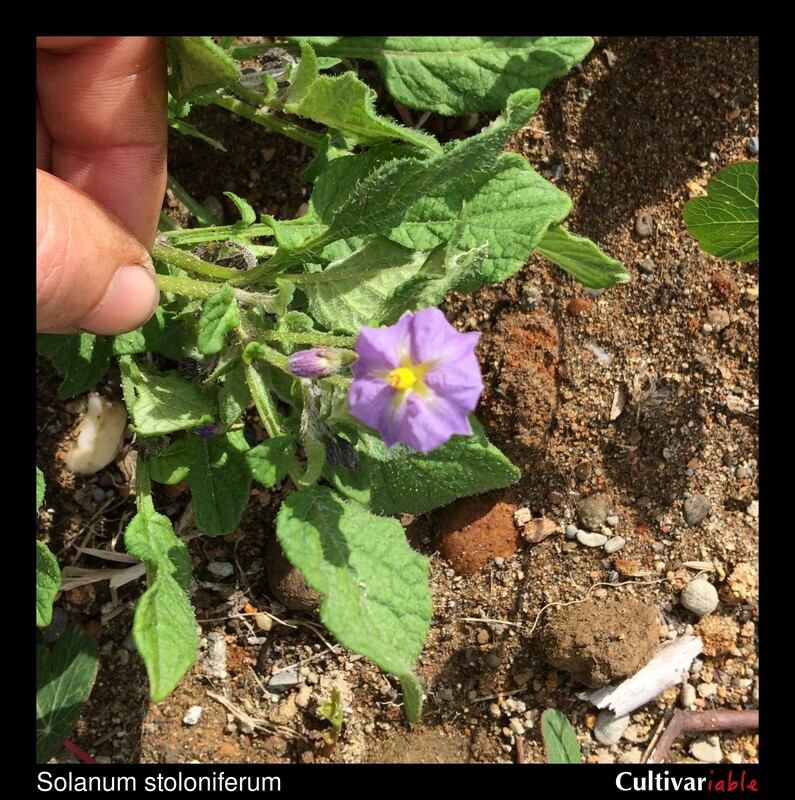 Solanum stoloniferum (stoloniferum means “bearing stolons”) is a widespread and highly variable species, ranging in height from about 7 to 24 inches, ranging from the southwest US to southern Mexico. In the United States, it is found primarily in New Mexico and Arizona and reaches slightly into southwest Texas (Spooner 2004). 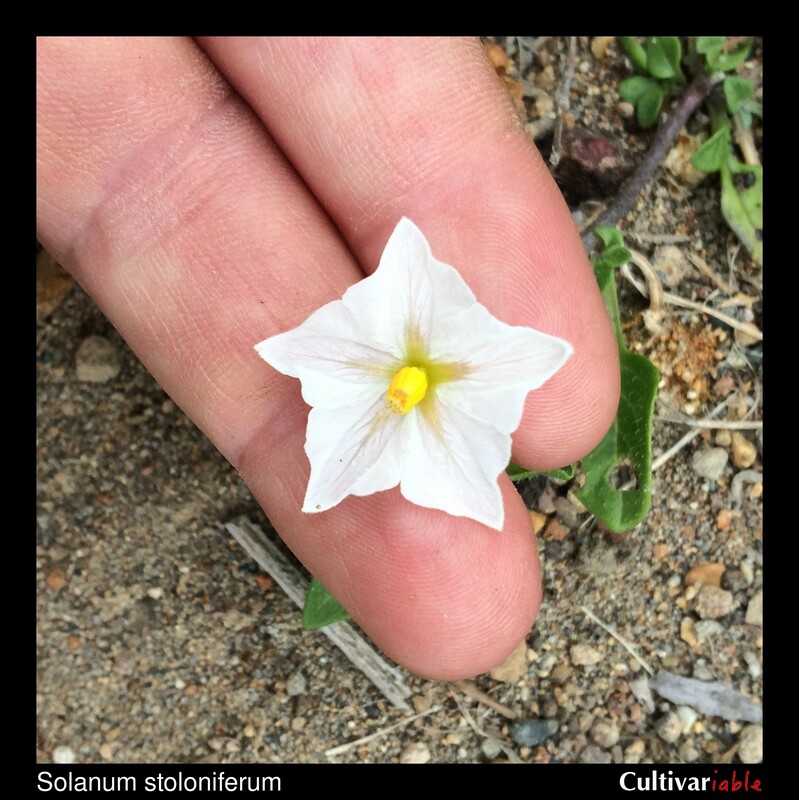 It is one of only two wild potato species found in the United States and the only wild potato species found in Baja California. This species can survive frosts down to 27 degrees F (-3 C) (Li 1977). Vega (1995) found that this species is less frost tolerant than domesticated potato. Although S. stoloniferum is tetraploid, it has disomic chromosome segregation, which probably explains why it is self-compatible. Some accessions of this species appear to be edible and there was at least one farm that was growing S. cardiophyllum, S. ehrenbergii, and S. stoloniferum for market in Jalisco as recently as 2010 (Villa Vazquez 2010). 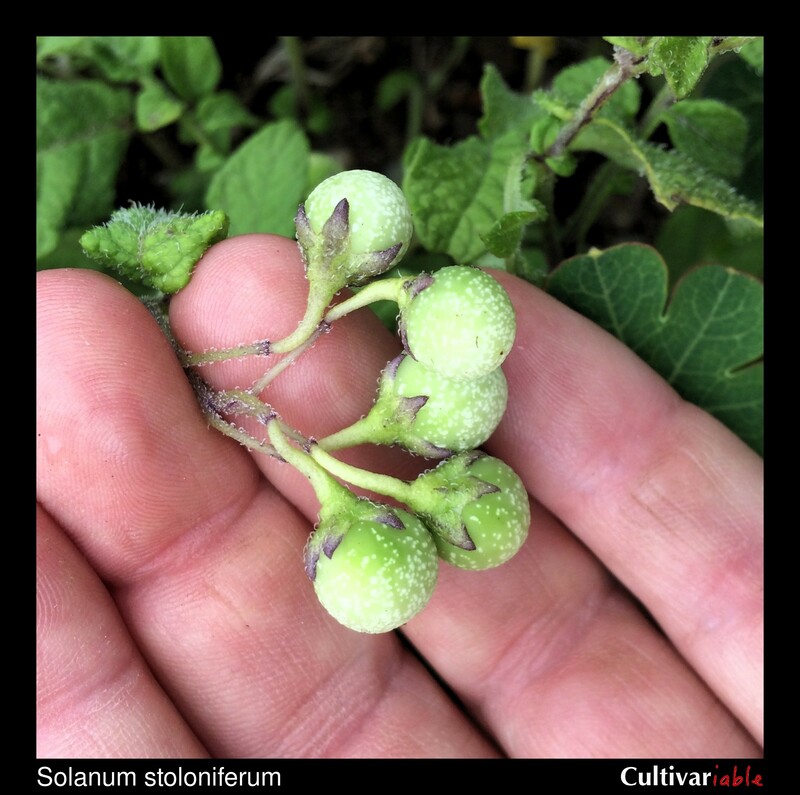 Sotelo (1998) studied the nutrition of S. stoloniferum and found that it has a protein content about half to two-thirds that of the domesticated potato and vitamin C levels ranging from 2.93mg / 100g to 5.87 mg / 100g (as S. polytrichon). This species is an allotetraploid, with two constituent genomes. Pendinen (2008) determined that the two genomes are derived from S. verrucosum and S. cardiophyllym, S. ehrenbergii, or S. jamesii. 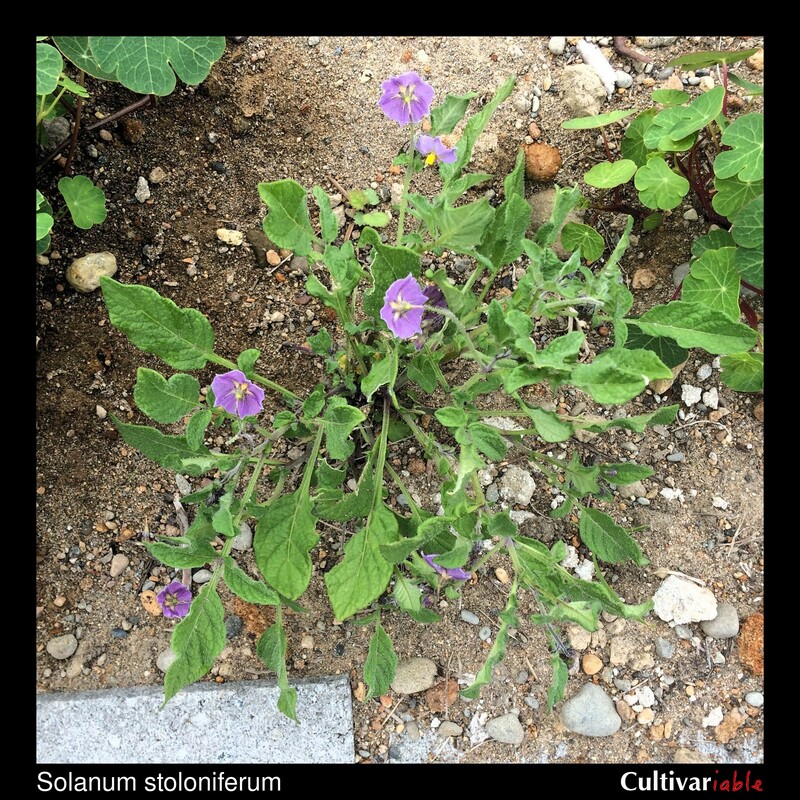 Kiszonas (2010) measured the tuber pH of wild potato species and found that S. stoloniferum (as S. polytrichon) has a pH in the lower 10% of species tested. It is not known if tuber pH has any agronomic significance. 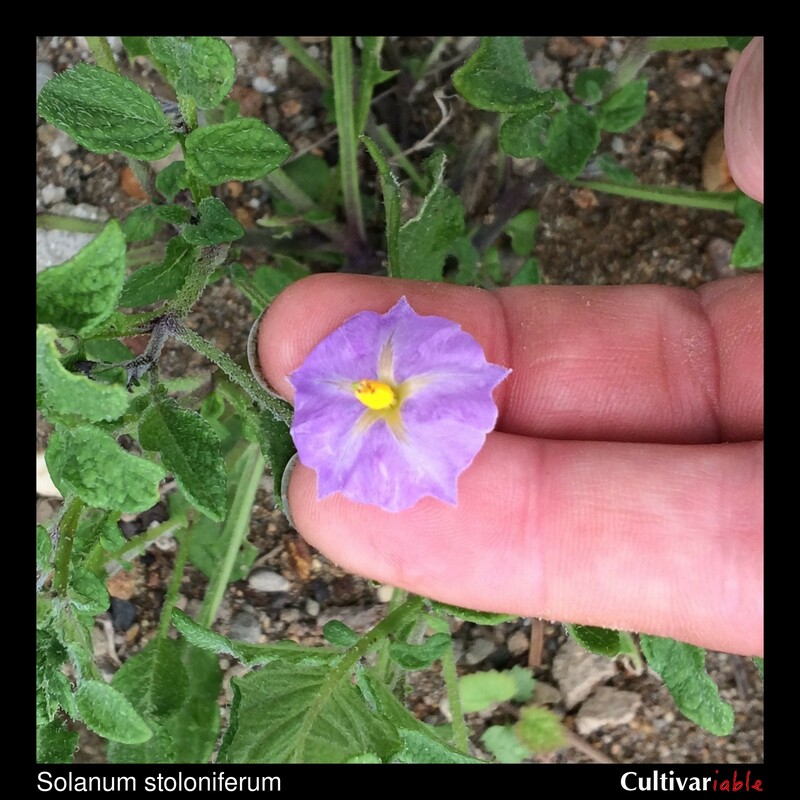 Solanum fendleri, a population found primarily in the United States, was recently absorbed into S. stoloniferum as a result of genetic analysis, but it appears that this grouping is somewhat controversial (Bamberg 2016). Three accessions of this species, PI 660270, 667007, and 667008, have an unusual flower form, known as matryoshka for the nesting Russian dolls (Bamberg 2014). These flowers have extra whorls of petals and sometimes also extra whorls including anthers and stamens. 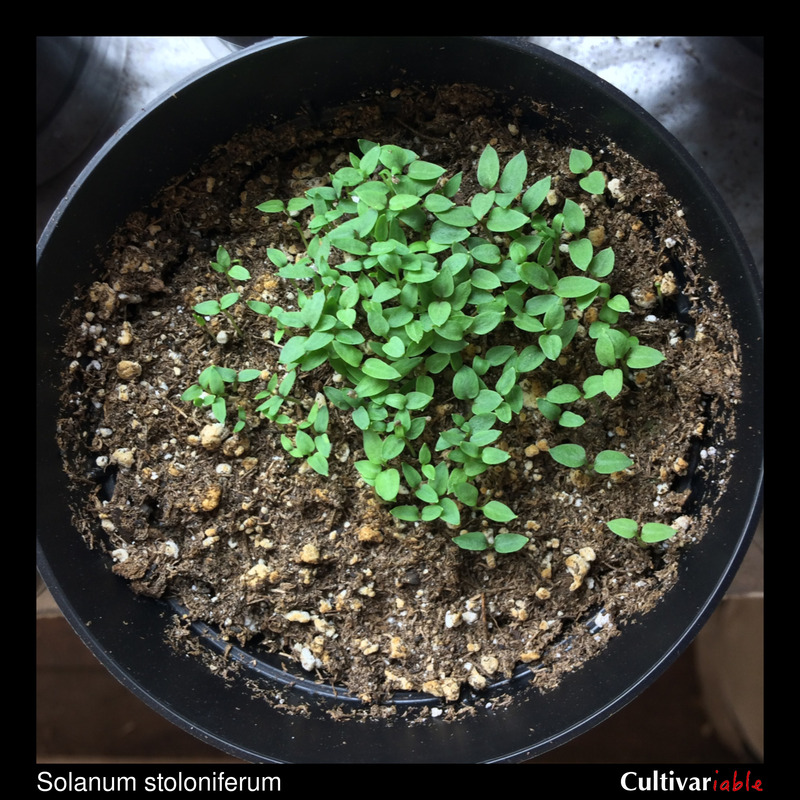 Subramanian (2017) found that at least some accessions of this species have unusually low potassium content (as S. fendleri). Johns (1990) found glycoalkaloid levels of 64 and 69mg/100g for two accessions of this species (as S. fendleri). The primary glycoalkaloids were solanine and chaconine. Sotelo (1998) found TGA levels of 197mg/100g and 325mg/100g (as S. polytrichon). 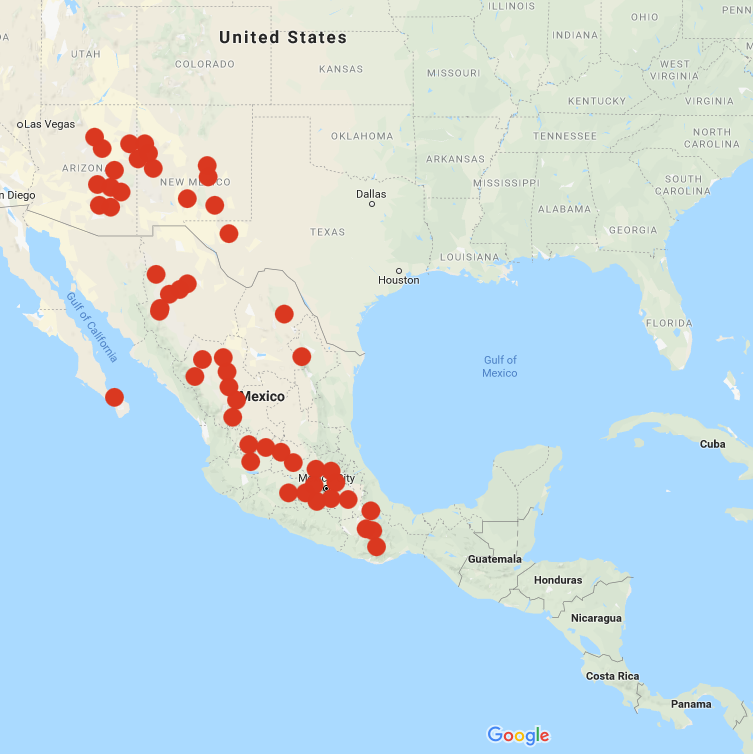 Despite these high levels, there are reports of S. stoloniferum (usually as S. fendleri) being eaten by native Americans and grown as an edible in Mexico. Most likely, there are either varieties with lower TGA levels or some sort of processing is done to lower glycoalkaloid content. Apparently, it was traditionally eaten with clay (White 1944, as S. fendleri) in order to eliminate some of the glycoalkaloids. Bamberg (2018) found that alternating temperatures increased germination in this species. Towill (1983) found that seeds of this species stored at 1 to 3 degrees C germinated at 98 to 100% after 25 years. They also found that seeds of S. fendleri, now considered a synonym for this species, germinated at 28 to 92% after 21 years. Panahandeh (2019) describes obtaining several S. stoloniferum x 4x S. tuberosum hybrids through conventional crossing, a combination that is unlikely due to EBN incompatibility. Analysis of the chromosome pairing suggested that the genome composition of the progeny was AAAB. The cultivar ‘Bora Valley’ has a 1/4 genetic contribution from S. stoloniferum (Choi 2003). 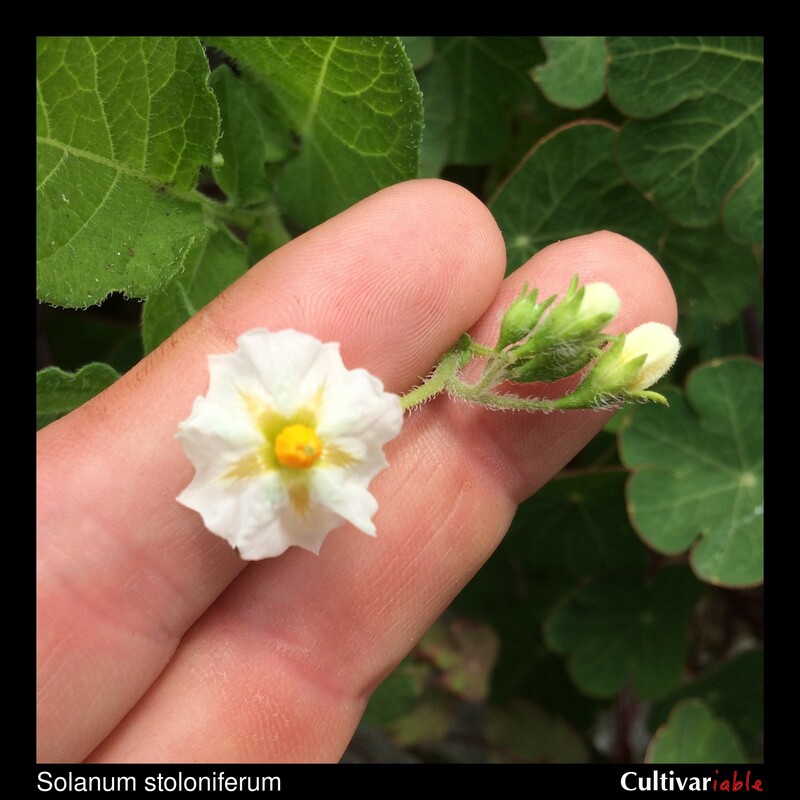 Watanabe (1991) found that 8.7% of varieties of this species produced 2n pollen (calculated from the totals for S. stoloniferum, S. fendleri, S. papita, and S. polytrichon, which have been reclassified as S. stoloniferum) which would be effectively octaploid and 4EBN. Jackson (1999) found 0-29%.